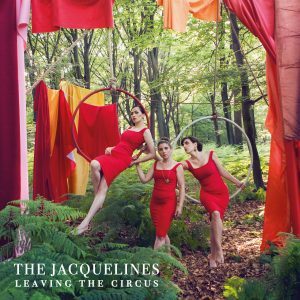 On Sunday February 10th The Jacquelines will perform two songs from Leaving The Circus in De Zevende Dag on National TV! Leaving The Circus in the news! We had a wonderful time at De Roma!!! Thank you to everyone who made it there, we were happy to play for such a full house. Several tracks from our album could also be heard on Radio 1 in Time Out with Michaël Robberechts. We had a visit from Rtv, and we were invited at the wonderful Radio Minerva to talk about our favourite jazz records, and of course about our new record Leaving The Circus. Many reasons to be happy indeed! We sincerely apologize for that…!! !